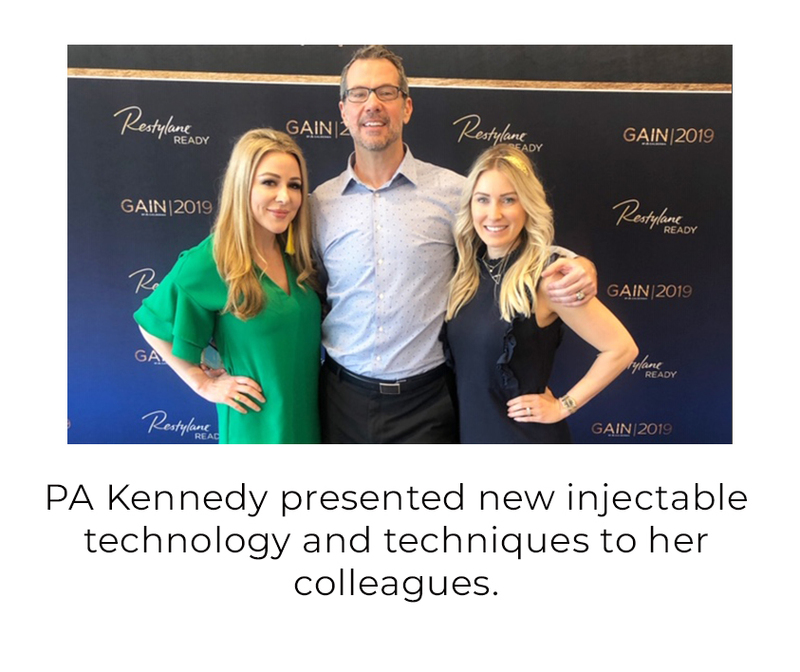 PA Kennedy completed the 2018’ GAIN training in Dallas, Texas. She was hand-selected by Galderma to be a national speaker/trainer. This is an exclusive partnership that only includes the top injectors in the country (less than 230 in the nation)! This weekend included a cadaver lab at UT Southwestern Medical Center, state-of-the-art 3D live injections, workshops and much more. PA Kennedy is proud to bring all of these tips and techniques back to her practice! She looks forward to educating other injectors through her training programs.